In case you’ve also fallen for the subtle, warm tones of Rose Gold (just like me and many others), I’m sure you’re pretty much a statement maker yourself. While minimalists may choose a different shade of gold, and prefer some other designs, for that matter, Rose gold jewelry will always be a classy choice! Adorning rose gold jewels will never make you feel that you’re overdoing with accessories, or vice versa. Perhaps it’s the built of the jewel and the color tone of Rose gold that makes it extremely adjustable. Rose gold goes great with different skin tones. Let’s learn more about it further ahead in the blog. Rose gold possesses the charm to redefine luxury, elegance and radiance. As much Rose Gold jewellery appears fashionable, they equally are classy and have been a dominant choice for a lot of young, fashion savvy women in the past two years.I’m talking globally here. Thanks to internet and mass media, glam events, glam news, glam magazines, blogs, articles, videos, podcast and what not, everything is now easily available and it’s easy to stay in vogue. You want to get style tips, simply go to YouTube and search the correct key phrases. And there you go. It’s right there. When the celebs do it, the world follows. All the information you need is out there in this digitally driven world of ours. Case in point, Rose Gold wasn’t always an intuitive choice. However, with glam elements being recreated each day, trends keep changing! It’s time for Rose Gold, let’s just accept that. Here are 6 things that you should know about Rose Gold. There is only one shade of Gold that appears to blush, and that is Rose Gold. The stunning hue is conceived by mixing pure gold with copper while making the alloy. Yes, the amount of copper will definitely surpass that of gold, hence the color. People doubt that purity of yellow gold differs from other colored gold. However, it’s nothing like that. The purity of a 22K Yellow Gold Ring will be the same as that of a 22K Rose Gold Ring. The only difference is in the color and that is majorly because of the alloy. As a fashion savvy person, I’m sure you keep like to keep a check on the latest style trends. And when it comes to jewellery, I’m sure you have your own idols, perhaps you follow some designers and keep a check on their latest work. Or perhaps you enjoy reading blogs or style tips etc. We all have our own set of parameters for tracking the latest buzz around the world. Rose Gold is a great way to reinvent a lot of lost not forgotten feelings. And since news flies, you’ll learn that Rose gold is quite the much in fashion right now. You would feel young, you would feel elegant. That’s the power of this one of a kind hue of Gold. I’m sure your favorite celebrity is adorning rose gold already. Visit your nearest certified jeweller and take a deep look at their classic collection of Rose Gold jewels. Case in point, here’s what Hazoorilal Jewellers have to offer. And the interesting news. Rose Gold goes well with all most al skin tones. Thus, it is the most versatile form of Gold. It helps add on to the warm tone of a person. So do not hesitate to flaunt it all. Go glam with beautiful Rose Gold jewellery. Keep the flow subtle. Adorning rose gold jewels, you can appear minimalistic, as well as all glam. The choice is yours. The beauty of Rose Gold jewelry is that they blend perfectly with other precious metals. For instance silver or even yellow gold for that matter.If class is what you seek, you’ll do a great job adorning red gold. Go ahead, look at the mirror and blush. We all want to be reassured of the fact that Red Gold (even though it’s a form of gold) has some resale value, (not some but good enough just like yellow gold). Right. So, here’s the catch. Yes, rose Gold has the same value as that of yellow gold. Depending upon the Carat value of your rose gold jewel, you’ll be quoted a price. Every metal goes under wear and tear. And it totally depends on you, how careful you are when it comes to your precious jewels. 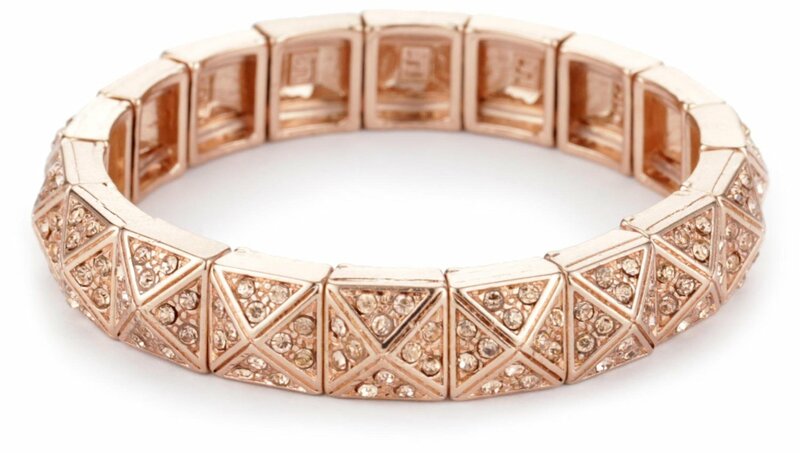 Rose Gold is a great color that has the tendency to compliment another jewel. Say for instance, consider a yellow Diamond solitaire, and you get the ring settings done beautifully with Red Gold and get the yellow diamond studded in the center of the ring, with white small diamonds as highlights. So pair it up. Bring out the sophistication with Red Gold. I have spoken enough. It’s time for you to connect with me. Share your stories below through comments and let’s have a good time! Stay tuned to read more interesting write-ups about Red Gold and its qualities.